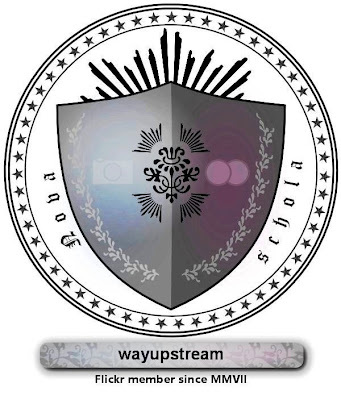 February 28th marks the anniversary of the very first Way Upstream post. I would like to thank everyone who has visited and especially those who have joined conversations and made their voices heard over the past year. I consider Way Upstream to be a group effort and I feel fortunate to have a global community of people involved who are willing to gauge risk, share ideas and to take action. Keep it up. Now that Way Upstream has reached the one year milestone do you think this blog can be officially referred to as "old school"? El Pescador.........I am not sure after one year if it is okay to call yourself "old school", but I think congratulations are in order never the less!! This has been a great forum for sharing thoughts, feelings, and ideas. It has been interesting to see how everyone feels about our company and our product. I appreciate hearing what has been said both the good and the bad. We can always learn from what is written here. Thanks to everyone who has taken the time to share with El Pescador your thoughts. As to the "old", I guess I should then sign off as so long from the "ancient one!" This is a great forum steve. Keep up the good work. I commend you on your efforts. Congratulations Steve, this is indeed a great place to sneak out of work and enjoyable reading. As fisherman and Patagonia buyer i appreciate the work you put in here and the constant hearing of what we have to say. This is an excellent place to drop by everyday. "DO NOT DAM PATAGONIA RIVERS"
Well done on a great forum, Steve! And remember: "Old school" is purely a state of mind. If your viewpoint is fresh, inquisitive, and open to divergent points of the compass, then "old school" may not be the proper term. There was a story in the Seattle PI about the new Wal-Mart blog. Seems they tried it a few years back with a corporate, dept-head-must-approve-all-communications sort of rah-rah blog, and it flopped miserably. So after going dark for some time, they’ve come up with a new one that is completely uncensored and employees are allowed to be totally candid. The one the story cited even had a senior buyer talking critically of some of their most prized vendors, including Sony. The results are, predictably, entirely successful, and the story seemed to imply this new candid style of “marketing” is the wave of the future. But you already knew that—you’re just ahead of the curve. I check in frequently Steve, and I'm impressed with how you've not only been Way Upstream, but doing so with passion that appears to know no end. Great work done here, and I thank you for pushing the envelope. What i just mentioned on the e-mail.